The websites below are reputable companies providing marine services that we have had good experiences with. We as boat owners have dealt with these companies in the past as customers. Click on their logos to go straight to their websites. Boat U.S. has been in the insurance business for over 40 years. They provide boat insurance for most private sailing and power vessels. Boat U.S. also provides insurance for personal water crafts. Boat U.S. offers excellent customer service, fast claims, and 24 hour dispatch on towing and claims services. Coverage is available anywhere in the continental United States to boat owners with a U.S. address. Seasonal cruising extensions are available to Canada, the Bahamas, Bermuda, and Mexico. Premium discounts are available for selecting restricted cruising areas such as the Chesapeake Bay or Puget Sound. Boat U.S. will match your cruising needs to an appropriate area for the best rate available. The Yacht Keeper is a mobile marine service company that provides professional yacht care and maintenance. They are based at Seminole Marine / Boatyard in Palm Beach Gardens, Florida. 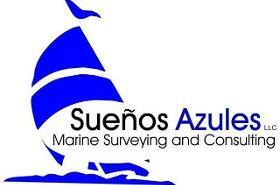 The company offers yacht maintenance services, cleaning and detailing services, and repair services. The company services boats and yachts for owners and brokers. The company is expereinced in servicing sailing and power boats. The owner of the company, Mike Franklin is professional, honest, humble, and is very pleasent to deal with. Bobby Soles Propeller Sales and Service specializes in propeller and shaft reconditioning. They use specialized computer scanning and measurement techniques to return any propeller or shaft to its original factory specifications. The technicians there do very excellent work. The company also features an online store for propeller, shaft, and other marine accessories.